I may be able to get you a part manual. When I got the machine I had all the manuals because it came from a fortune 500 company. I still know the guy who has it now. I'll try to find out in a couple of days. Please post it if you can get it. Well change of plans. 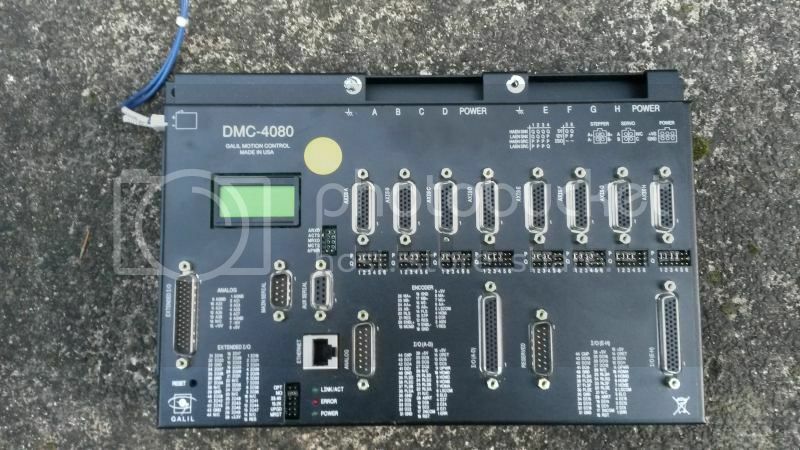 Vital systems was 2-4 weeks out on shipping the DSMPC so I looked on Ebay and got this for $900. He was local so I picked it up tonight. I just found a Quick Draw tool changer and would be interested in pictures of how yours is mounted to your mill. Mine is on a pallet and I did not get to see it mounted to the machine. Did you get the one off ebay (;-) ? Yes, but it is a lot bigger than it looks in the picture. It's actually over 5' long. The tool chain system makes it LARGER and harder than it needs to be. Let me know if you decide not to use it I may be interested. Couple of pics of the one mc now owns, might not be much help but basically it bolts along the length of the ram.